Government in South Africa is divided into 3 spheres: National, Provincial and Local. Each sphere's responsibility is outlined in the Constitution. The governments of each sphere have a political and administrative arm. The political arm creates the laws and policies, while the administrative arm is the part of government that provides services and implements the laws and policies. Citizens elect representatives to the Parliament, the provincial legislatures and the local councils. National Government: Makes laws and sets policies for the country. It also provides certain services (e.g. issuing of ID books). National government is divided into 3 branches, the Legislature, the Executive and the Judiciary. 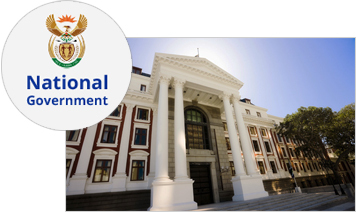 Find out more about the role and responsibilities of national government by visiting the official South African Government website. In accordance with the Constitution, each province has its own legislature, consisting of between 30 and 80 members. The number of members is determined according to a formula set out in national legislation and they’re elected in terms of proportional representation. Besides being able to make provincial laws, a provincial legislature may adopt a constitution for its province if two thirds of its members agree. The provincial constitution must correspond with the national Constitution. 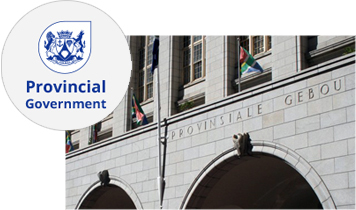 Each province has an executive council which consists of a premier and members of the executive council (MECs) who are responsible for provincial departments. Premiers are elected by their provincial legislature. The Western Cape's Provincial Constitution refers to MECs as Ministers. 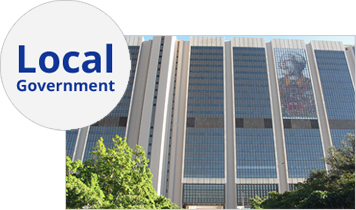 Local Government: The role of municipalities is to provide basic services such as water, garbage removal, sanitation etc, as well as promote a safe and healthy environment, and community development. The Constitution provides for 3 categories of municipality. There are 278 municipalities in South Africa, comprising 8 metropolitan, 44 district and 226 local municipalities. Search for your local municipality from the list below. You can also participate in government’s decision-making not only during elections but on an ongoing basis.